Happy Thanksgiving! Hope y’all have a blessed time with family and friends. God has given us every spiritual blessing in Jesus, so we never lack reasons to be thankful. And we hope the update on our India team will give you even more reasons to be thankful. Having two ladies on this team gave them a much better platform to reach women in a still caste-driven society. Just take a look at this entry from the Keynote Connection blog. 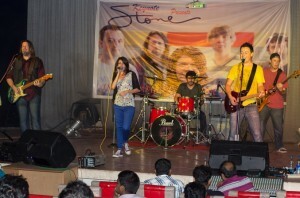 (And for more pictures, see stoneofficial.com). This entry was posted in Prayer Letters on November 26, 2013 by Liesl.